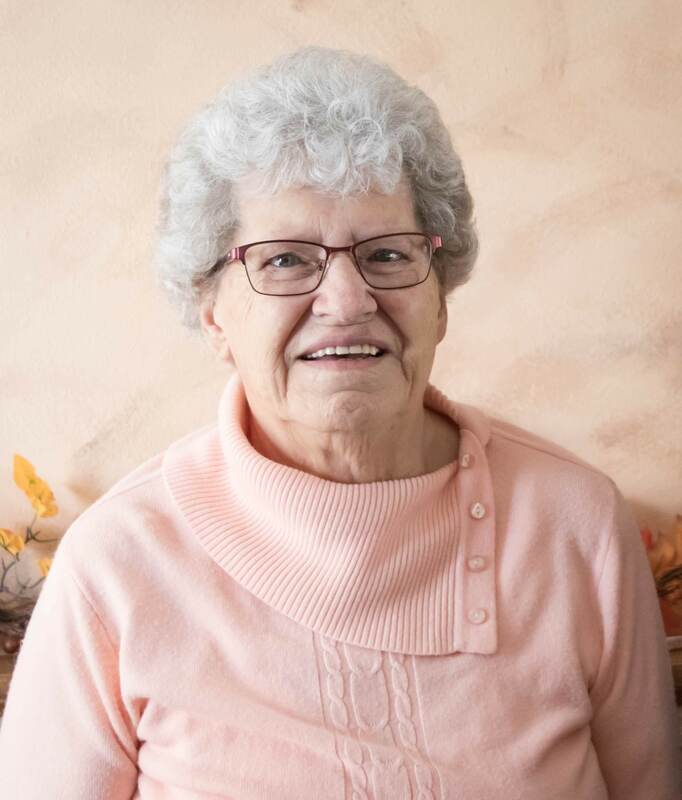 In the evening hours of March 21, 2019, Lydamae passed away at the home of her daughter and son-in-law Debbie and Patrick Welch, in Shepherd Montana, as a result of a short battle with Cancer at the age of 79. She was being cared for by two of her daughters, Debbie Welch and Cindy Tarazon. Lydamae was the first child of Louis and Virginia (McGrady) Anthony born on May 15, 1939 in Livingston, Montana. She grew up and attended school in White Sulphur Springs, Montana. On March 3, 1958, Lydamae married her life-long love, Charles Ramsey in Helena, Montana. They worked together on the Tony Gasper Ranch next to the family ranch in the beginning with Lydamae working as the cook. They later moved to White Sulphur Springs where they soon had 4 children. Lydamae was a wonderful mother and housewife spending many hours caring for her home, family nights, weekends and holidays. As the children began school, she opened a daycare in their home, caring for many, many children whose parents both worked. She had a great love for youngsters. She later worked as a janitor at Roy Swan Elementary School. Her final position was as Meals on Wheels delivery for the Meagher County Community Center in White Sulphur Springs. Chuck and Lydamae loved to camp and take long drives all over Montana, extending that love later in life to 4 trips to Alaska. The family traveled to Wisconsin, Washington state, California, and North Carolina to visit family and friends. Early trips were made with a Chevy Station Wagon and a tent with Chuck and the first 4 children – later came the GMC and camper. Chuck and Lydamae’s 5th child Timothy was born when the first four children were grown. Trips were made in a fifth wheel trailer behind a new Ford pickup. Lydamae was a loyal and faithful member of the Christian and Missionary Alliance Church for many years where she taught the young ones Sunday school class for many, many years. Later she became an active member of the Mountainview Community Church. Lyda was a devoted and loving mother, grandmother and great grandmother and a leader in the church, maintaining great faith and hope with calmness and grace until the very end of her life. Lydamae was the point of contact for the entire family, speaking by phone with all her children and grandchildren weekly and sometimes daily, keeping us all informed of what was happening with each other. She prayed daily for all her family and especially when we were in special need. She took care of many of her grandchildren when needed, and was a second mom to many. Lydamae was preceded in death by her husband Charles Ramsey, her parents Louis Anthony and Virginia (McGrady) Anthony; in-laws; Walter and Emma (Wilke) Ramsey; brother, Ronald Anthony; Niece Barbara Ann Sharpe; son-in-law Jackie R. (J.R.) Shinabarger; and brother-in-law, Albert Sharpe. Lydamae is survived by her sister Betty Sharpe of Statesville, NC; brother Richard (Melody) of Kalispell, Mt; sister-law, Marie (Gerald) Adams of Dixon, Ca; children Ronda Shinabarger and Charles “Brent” (Diane) Ramsey; and Timothy Ramsey all of White Sulphur Springs; and Debbie (Patrick) Welch of Shepherd, Montana; and Cindy (Eduardo) Tarazon of Nuevo, California; 10 Grandchildren and 12 Great Grandchildren. Services will be held at Stevenson-Wilke Funeral Home in White Sulphur Springs at 11:00 a.m. on April 13, 2019, with graveside service to follow at Mayn Cemetery, south of White Sulphur Springs. The family invites friends and family to a reception to follow at the Meagher County Senior Citizen Center in White Sulphur Springs. Memorials may be made to the Meagher County Senior Citizen Center, Meagher County/City Library; Mountainview Medical Center or Mountainview Community Church of White Sulphur Springs. The family wishes to extend appreciation to Mountainview Medical Center for their wonderful care of our mother and to Pastor Darwin Scofield and all our friends and family during Lydamae’s illness. Please visit below to offer a condolence to the family or to share a memory of Lydamae.